During the first few months of America's combat flights over Europe, more than eight in ten bombers were shot down. To boost morale, the War Department said any crew could go home after 25 missions. On May 17, 1943, the B-17 Memphis Belle was the first to meet the challenge...without losing a single crew member. Often riddled with bullets and flak, she had her engines shot out five times and once nearly lost her tail. Named after pilot Colonel Robert Morgan's sweetheart, "Memphis Belle" was declared a national treasure. 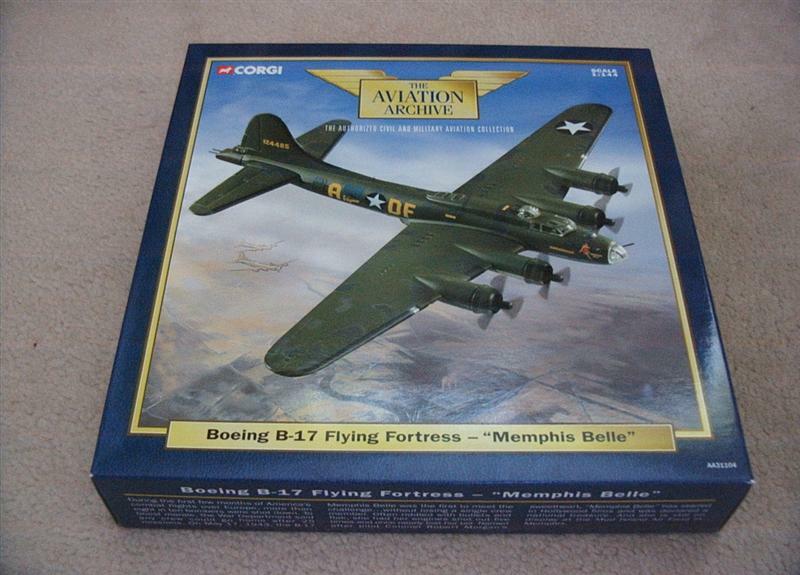 Now you can own a part of History with your very own 1:144 scale model of the Memphis Belle from the Corgi Aviation Archive collection.